“Happy customer” - Hon Leun C.
Sent a set of pans to Eire as wedding gift. Arrived promptly. Another happy customer. Just wanted to thank you for my beautiful copper cookset. Extremely happy customer! 612 customers found this review helpful. Did you? Yes, I did! 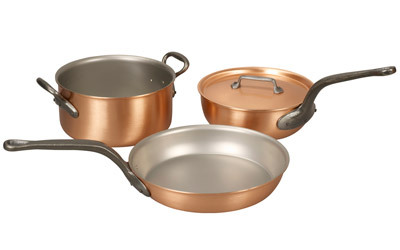 Really nice pans at a great price. Very pleased with the service too, arranging delivery for Christmas despite the nasty weather.